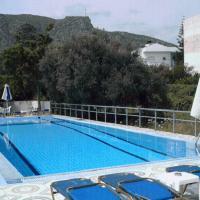 Diamond Apartments & Suites Hersonissos - Hotel videos, user reviews, cheap booking! 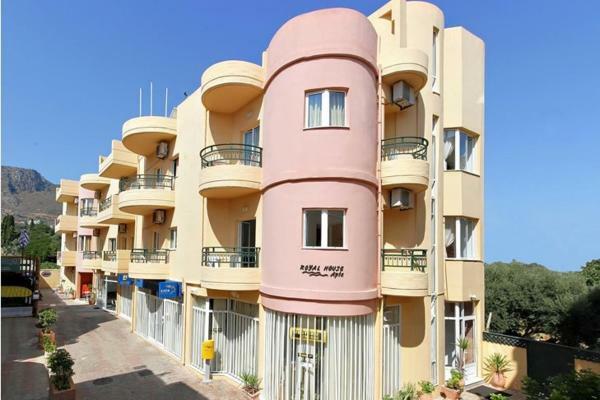 Diamond Apartments & Suites is quietly located only 300 ft from the nearest beach in Chersonisos of Crete. It offers self-catered accommodations with free Wi-Fi. Guests can order traditional Cretan breakfast in the privacy of their rooms. All air-conditioned studios and apartments are bright and spacious. Each has a kitchenette with a mini fridge, stove and dining table. Some accommodation types open to a furnished balcony and offer a sitting area with LCD TV. Local taverns and a mini market can be found within a short walk from Diamond Apartments & Suites. Nikos Kazantzakis International Airport is around 14 miles and Heraklio City is 16 miles away. Free parking is available on site.